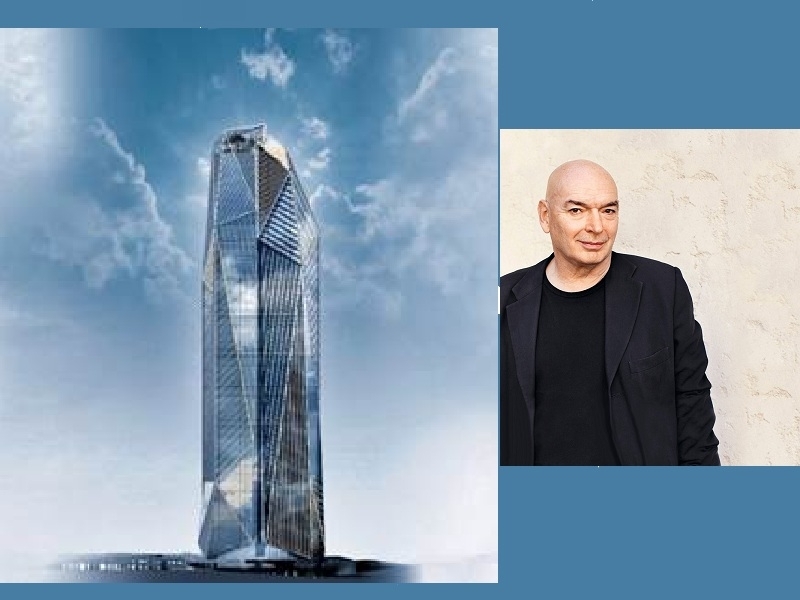 Designed by Jean Nouvel, developed by Hines and AG Real Estate and purchased by Amundi Immobilier, and Primonial REIM on behalf of their Funds, HEKLA is a Major Architectural Project that will be part of the Skyline of Paris La Défense in 2022 and will enrich the Architecture of Grand Paris. Both by its Exceptional Form and its Willingness to offer a new Experience, HEKLA will soon represent, in France and Worldwide, a Particularly Inspired and Creative Sequence of the Commercial Real Estate Sector. The Idea is to bring a Group of Young Talents around Jean Nouvel, the Creatives, who embody French Excellence in Fields such as Sport, Philosophy, Universal Accessibility, Gastronomy, Design and Artificial Intelligence, in order to think about the Daily Life of the Thousands of Collaborators who will work at HEKLA. This Group represents the Desire to deeply rethink their Working Environment in a High-Standing Building. The Creation of this Group of Young Talents is an Innovative and Unprecedented Approach. Physical Coach of the 2018 World Champion Football Team, he is now one of Didier Deschamps' Key Staff Members. Founder of the bBand “Le Fauteuil Roulant Français”, Edouard travelled, in 2018, 710 km by Wheelchair across France to the Elysée Palace to discuss with Emmanuel Macron Disability in the Workplace. In 2011, Ramy created his Own Design Agency in Paris, RF Studio. Among his Latest Projects : the Headquarters of Twitter France, the National Gallery Café in London and Community Kitchen Reffeterio Madeleine. Founder and CEO of the Start-Up Snips, specialized in Artificial Intelligence. Rand was chosen by the French Government to lead the Reflexion Process around "the Impact of Artificial Intelligence on the Economy and Employment" in France's Overall Strategy. Marion founded a Culinary Agency working for Catering Professionals, Artisans, Food Manufacturers, Food Entrepreneurs and Individuals. In 2010, Julia founded a Philosophy-Consulting Firm, Prophil Conseil, which regularly works with Large Companies on Societal Issues. These Personalities who joined to form the “HEKLA Creatives” Group, around Jean Nouvel, have expressed a Real Enthusiasm at the Idea of taking part in this Beautiful Adventure, that will contribute to shaping a New Daily Life for the Thousands of Employees (nearly 200 000 People) working in Paris La Défense. 220 Meters High, the Hekla Tower will develop 76 000 sq.m of Offices on 48 Floors at its planned Delivery in 2022, , with a Capacity of up to 5,800 Employees. Located 300 meters away from the “Coeur Transport” in Paris La Défense, the HEKLA Tower is part of the Development of the New “Rose de Cherbourg” District into a True Urban and Green Living Space. The Developer, PARIS LA DEFENSE, provides a High Quality Transformation with the Requalification of the Ring of the Circular Boulevard that evolves around the HEKLA Tower as a Planted and Vegetated Walkway inspired by the New York High Line. HEKLA embodies the Result of a Close Collaboration between Ateliers Jean Nouvel, Hines and AG Real Estate bringing in their Experience in Major Commercial Projects, as well as Amundi Immobilier and Primonial REIM bringing in their Confidence and Involvement in the Development of this Emblematic Project. The HEKLA Tower anticipates New Ways of Working and Living. Designed with a Strong Architectural Gesture, it will rebalance the Skyline of Paris La Défense. Hines, AG Real Estate, Amundi Immobilier and Primonial REIM are convinced that the HEKLA Tower is a Unique and Coherent Place for a Company with a "Major Business Project".